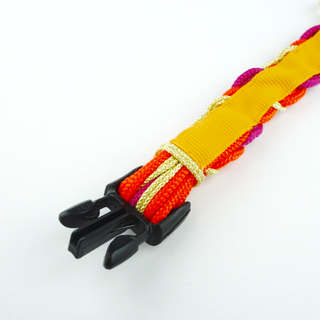 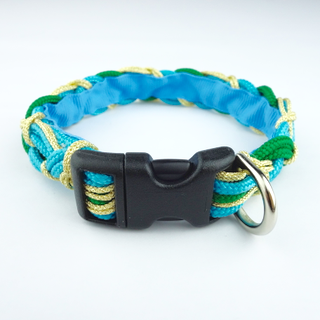 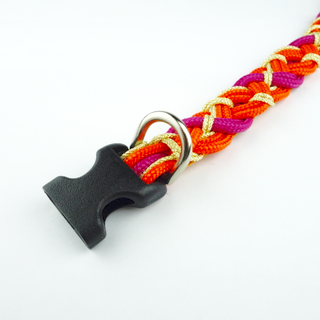 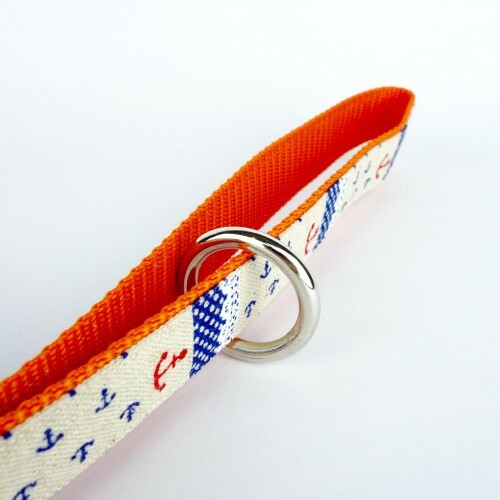 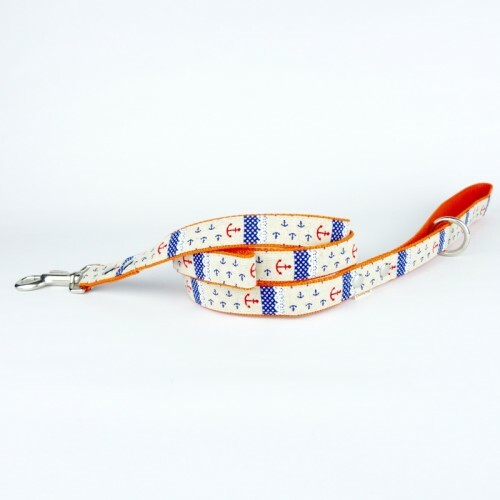 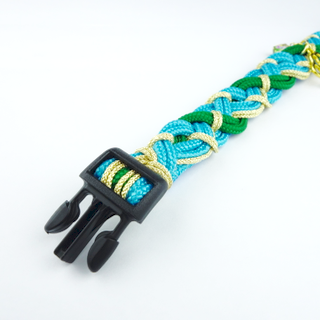 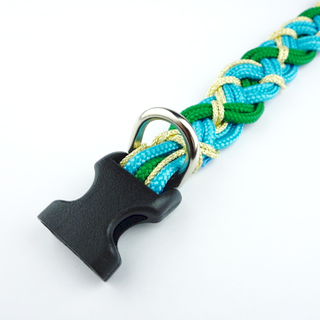 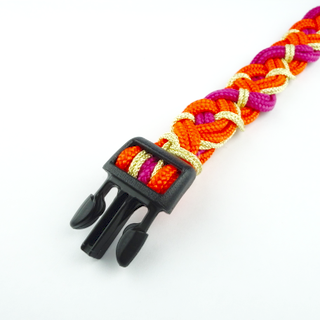 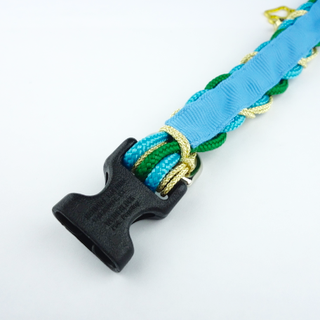 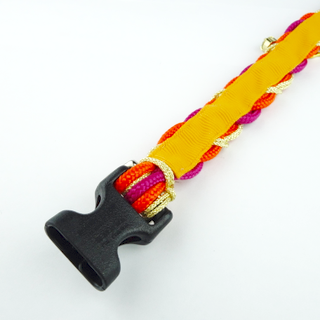 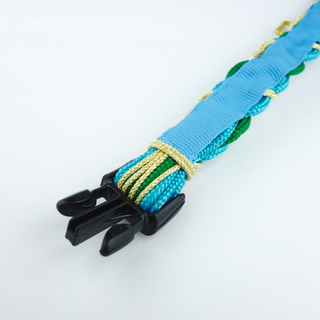 Paracord collars in two striking colour combinations. 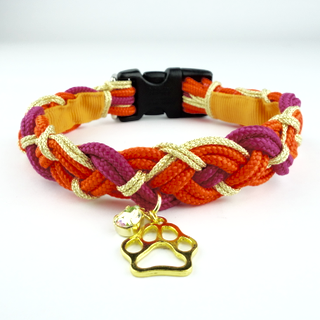 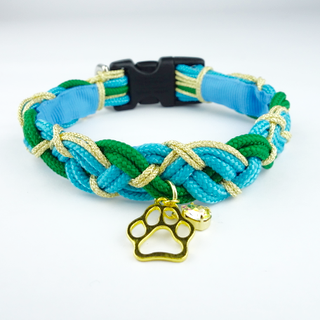 These brightly-coloured paracord collars are hand-braided with a twist of gold, paired with a little pendant and Swarovski crystal for another twist of elegance. 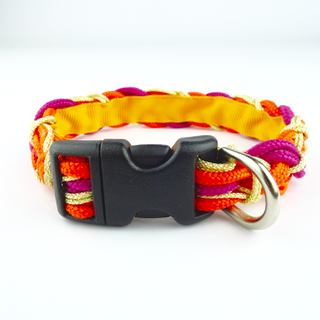 The collars are thoughtfully lined with PP Tape, to prevent entanglement with the coat of our furrier companions!